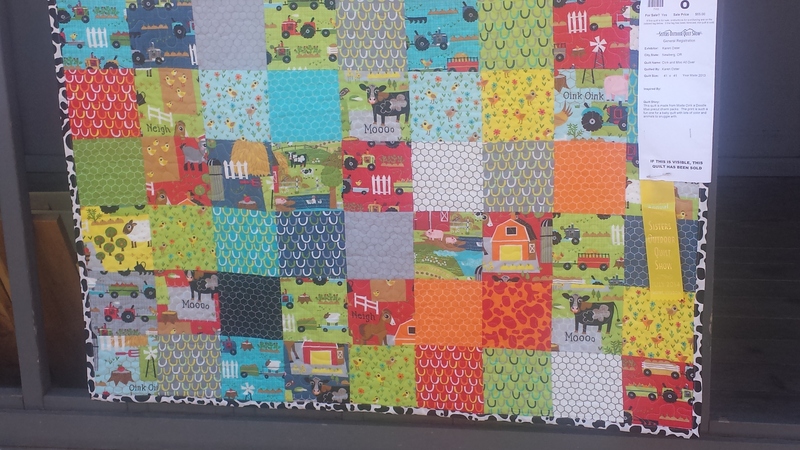 I promised you more quilt photos and here they are! I love how unique each one is – ranging from vintage to kids’ focus to … well, the last one. you’ll love it. There were SO many more than I took photos of, but there will be one more slew of them next week, I tried to get a wide range of styles. Enjoy! i love the little owl on this! This was so cool! 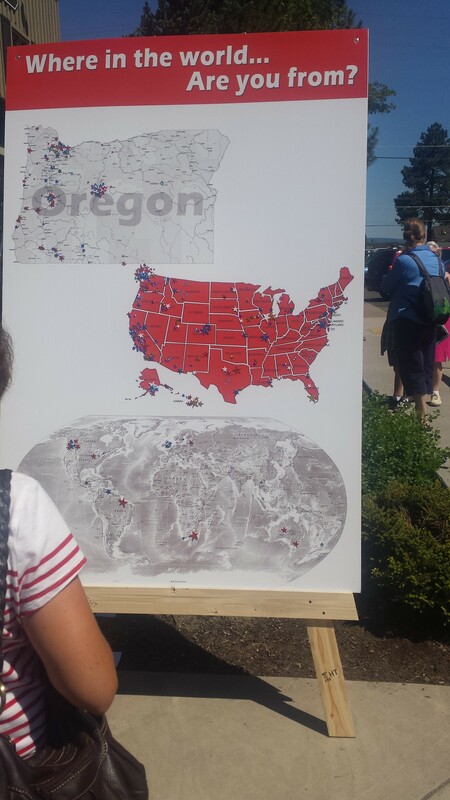 stickers were placed where everyone was from! 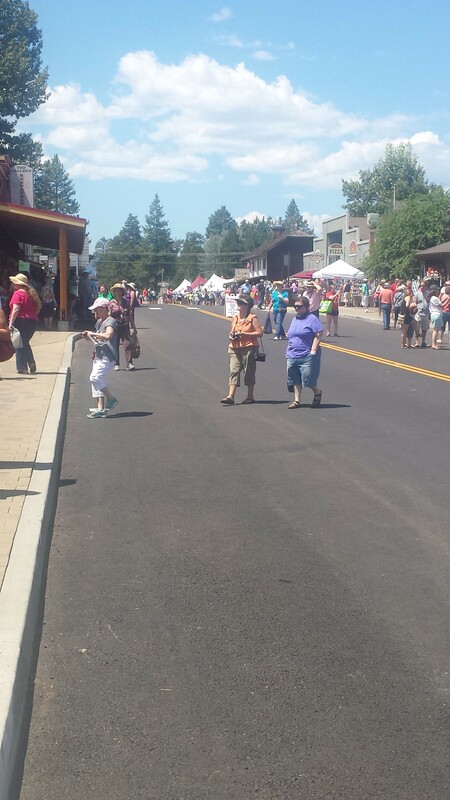 ALL OVER folks! yes, i took a photo of a very cool car. 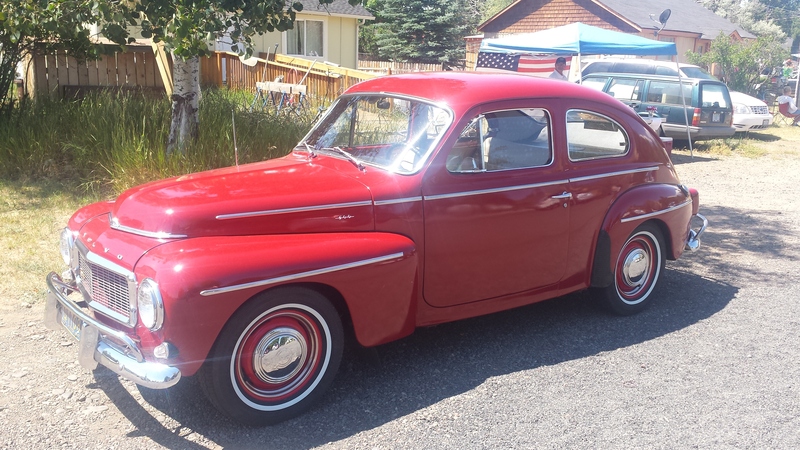 what’s a quilt show without a few classic cars? this daisy is 3D. 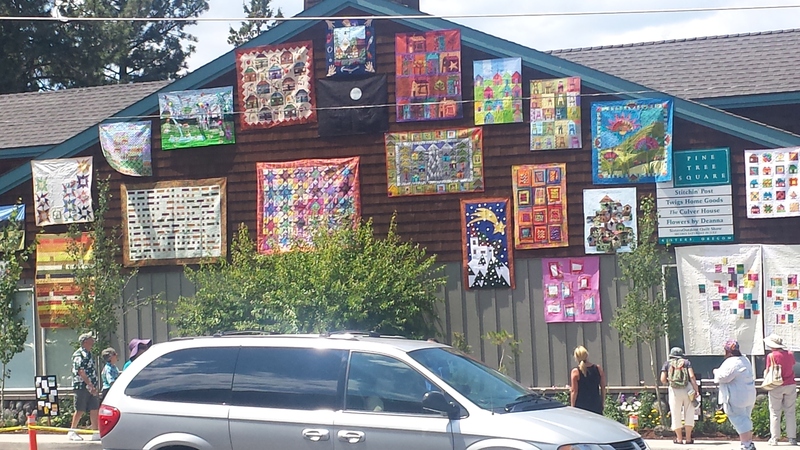 I think it was the only quilt with that idea. very unique and they nailed the center of the daisy. I believe this is the one my aunt said that is made – always – by hand. 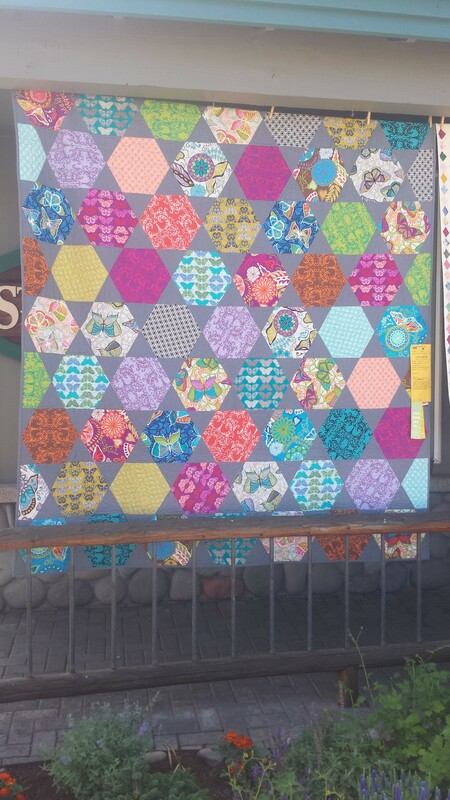 all those hexagons….. 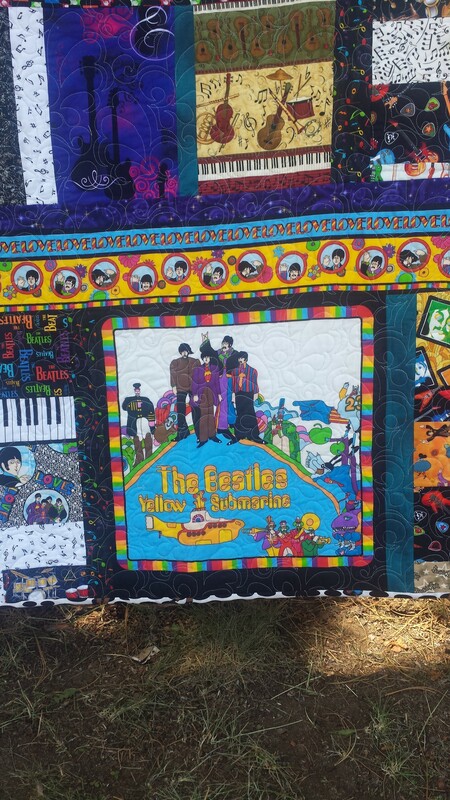 Yes, this is a Beatles quilt. how cool is THAT? close up- Beatles “Yellow Submarine” – if you don’t know this song…. I have a link at the bottom, you must listen to it! classic. 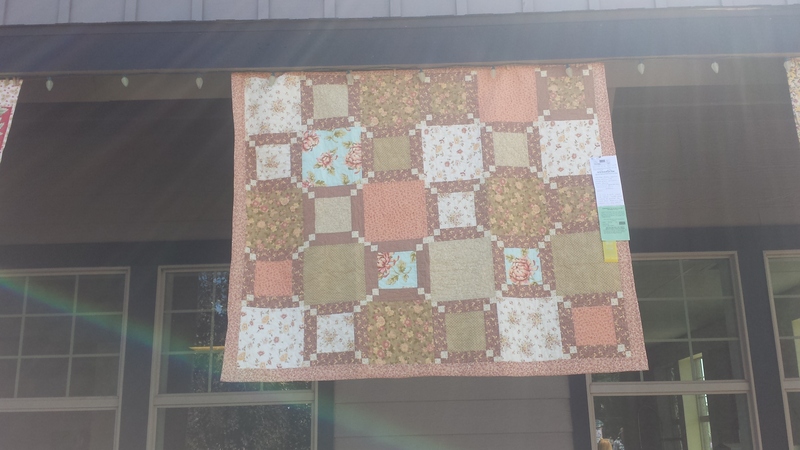 Thank you for sharing pictures of these beautiful quilts! I am loving The Beatles one! Oh wow! These are absolutely amazing! And I second the The Beatles quilt. Perfection. 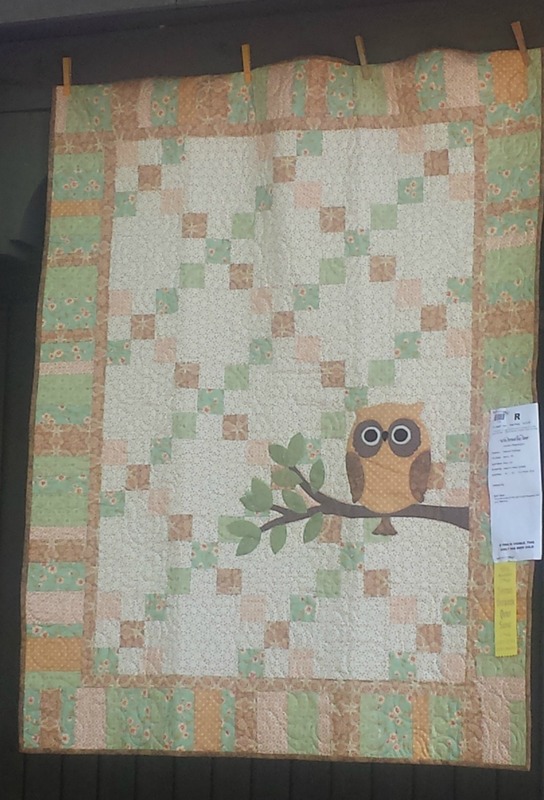 I love that owl quilt! it makes me want to do my (future) baby’s room in owls! That car is absolutely beautiful!!! 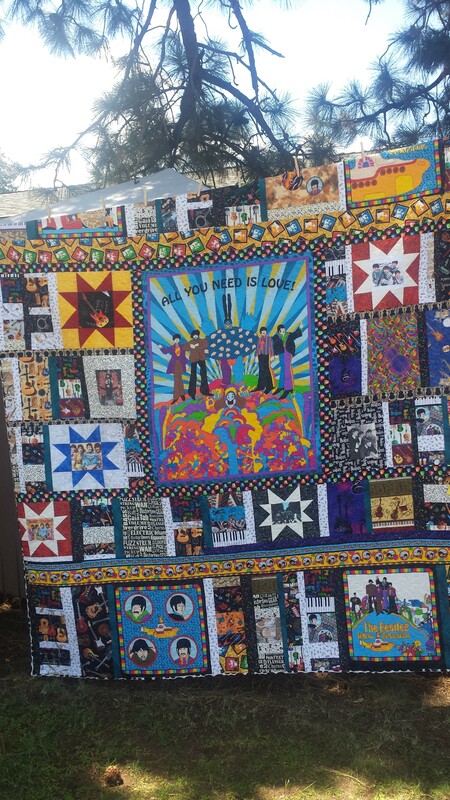 Oh my gosh, that Beatles quilt is AMAZING! 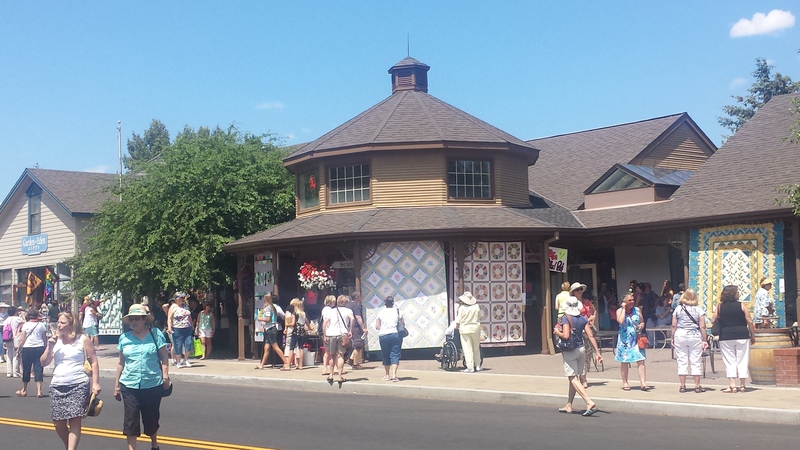 My mom took me to the Sisters Quilt Show when I was little, she’s a big quilt fan and quilter herself. 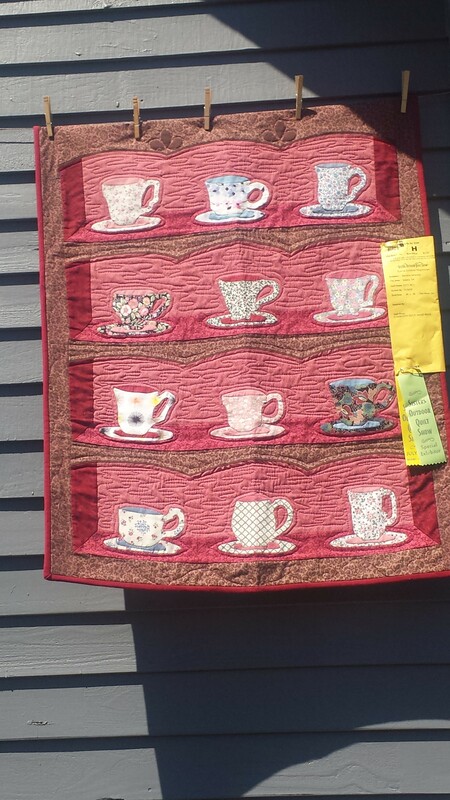 I love that teacup quilt! 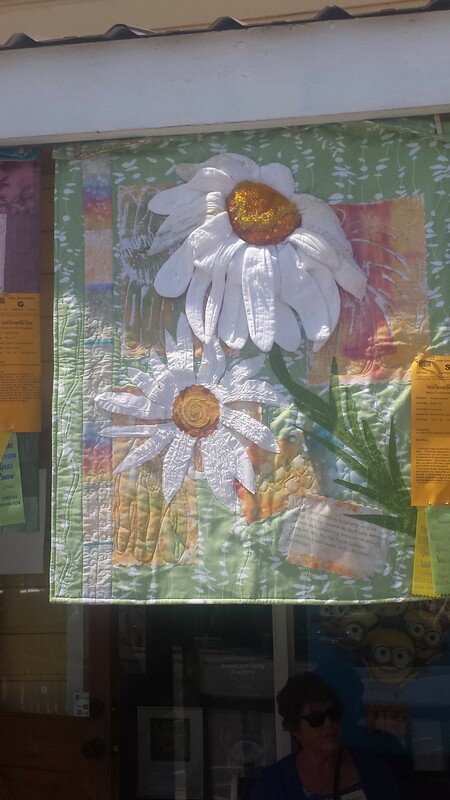 Love the owl quilt, and that daisy!! So unique! again, i just can’t get over how intricate these are! 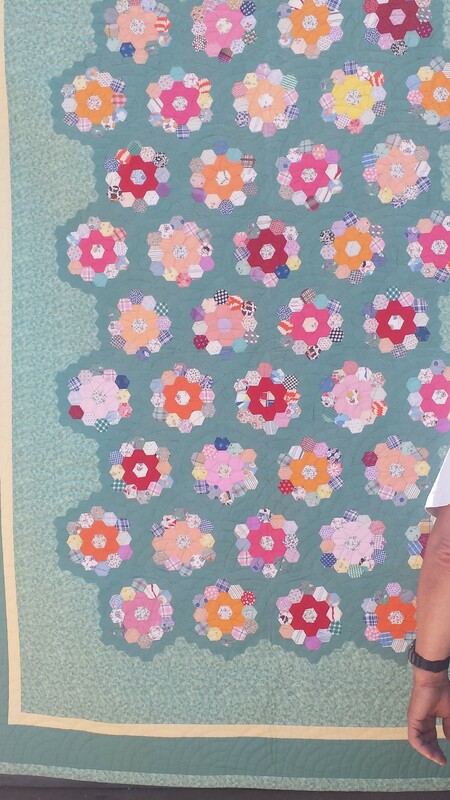 Quilting is seriously hard work…love the one with the tea cups! wow! so many talented people! Wow!! How awesome! Would you believe that I don’t own ONE quilt?? I need to change that ASAP. haha. I only got my first quilt for my wedding (a year ago) from my aunt who made it for us! i love them though! Love the tea cup one! isn’t it just so sweet?? I still can’t get over how detailed these are, and I love the “where are you from” map. Love the one with the teacups and daisy’s! How fun! These are all so fun! 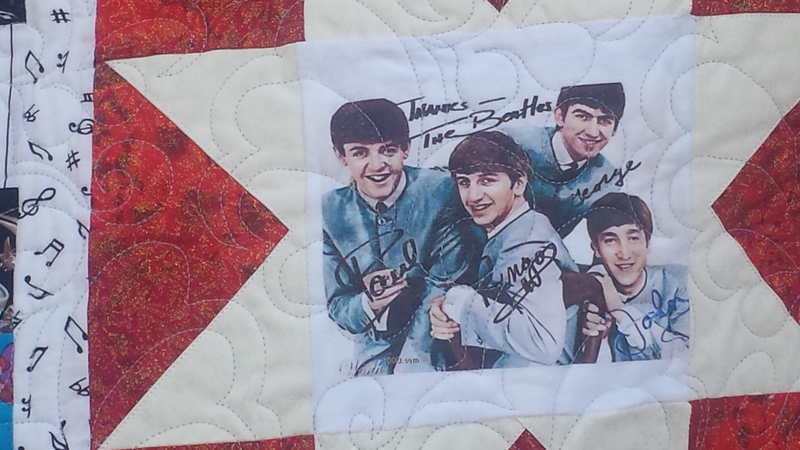 The Beatles quilt is amazing!! !